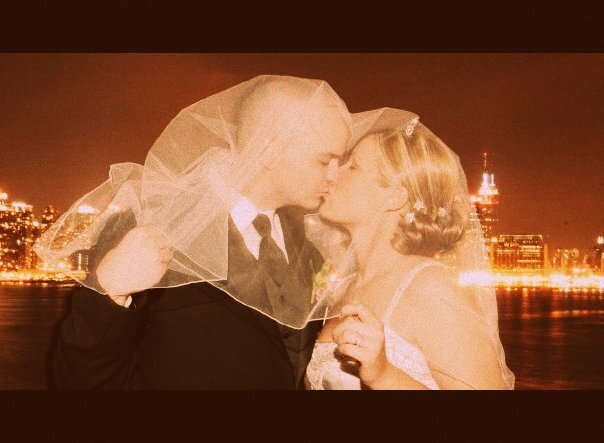 So today is our 7th wedding anniversary! I honestly can't believe it's been SEVEN years! Where has time gone! I'm very lucky to have married my best friend! Together we have the most beautiful twin girls and today, i'm feeling very blessed. I thought i'd share some pictures of our big day with all of you! Every bride typically dreams of perfect weather and i honestly could not have picked a better day. It was sunny, low 80's with a slight breeze... perfection! The arrival at church. My sister is in front of me adjusting my veil, my parents are on either side of me and one of my wonderful childhood friends Monica is standing behind me. I was so overcome with emotion! These were taken at my parents' house before leaving for church. 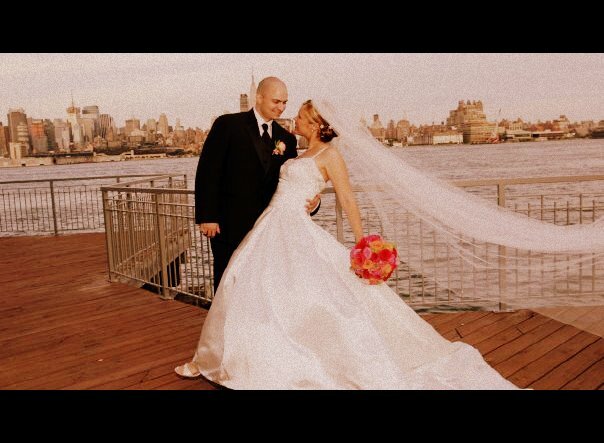 Our venue overlooked the NYC skyline making it perfect for pictures! 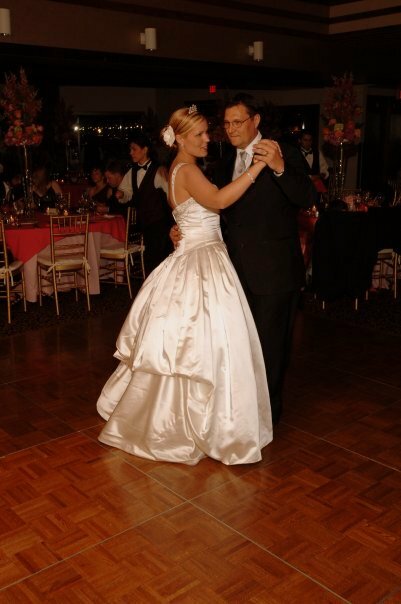 Dancing with my daddy! We actually danced to two songs. The first was "Thank Heaven For Little Girls" which i'd first heard when i was about 12 years old while watching the classic movie Gigi. I fell in love with this song and knew one day i'd want to dance this with my daddy at my wedding. The second was "The Way You Look Tonight" by the great Frank Sinatra. I just love that song! 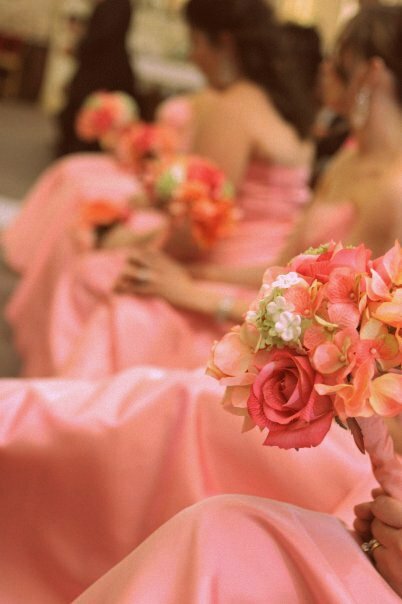 My bridesmaids... pretty in pink! My wedding cake by the now famous Cake Boss, Buddy Valastro of Carlo's Bakery in Hoboken. This cake was a true work of art, and it was sinfully delicious too! I love this picture. We had to be very still for almost a minute in order to get the perfect shot! It was hard not to laugh! Ahh it was a beautiful day indeed, everything i imagined and more, though it did go by too fast! On a side note, i remember opting to do my own make-up at my wedding because i just couldn't find anyone i loved enough to do it at the time. The deciding factor was using the money i would have spent on one to buy new makeup for the special day. One of the products i used that made a lasting impression on me to this day was Nars waterproof mascara. It was such a smooth formula, no clumping, it was lengthening and definitely waterproof! Unfortunately, this pefect 'wedding day' mascara is no longer available. Boohoo! 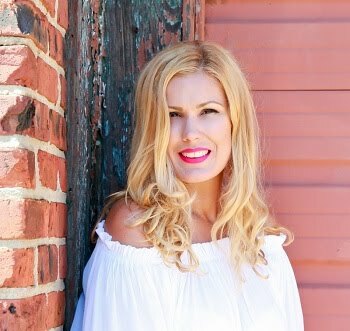 Thank you so much for reading and sharing some of my wedding day memories with me! Let me know your thoughts! Don't forget to become an official follower of FMM. So beautiful your wedding!!! I love your dress and cake :)Congratulation for your 7th anniversary. Congratulations on your 7th year anniversary. Everything looks beautiful! Congrats dear, I wish you many many more happy years filled with joy and happiness and above all love!! But just one thing: are you sure you are not a princess, looks like a fab royal wedding to me! 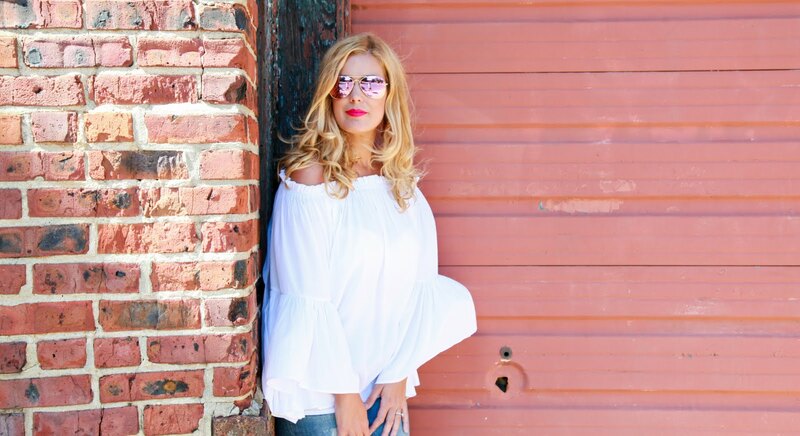 Love the pictures!! 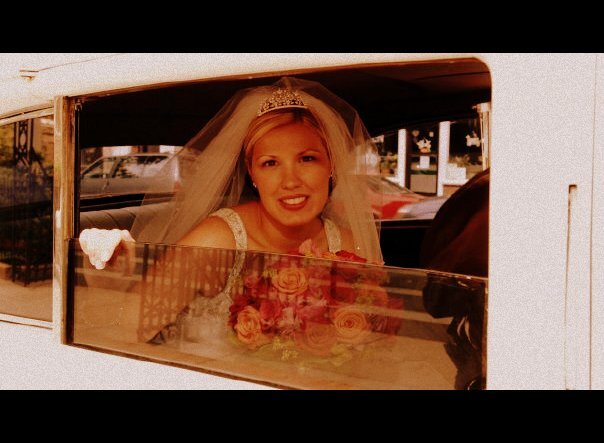 Carla you looked absolutely gorgeous on your wedding day. The dress was absolutely gorgeous and you bought it from Kleinfelds? I've seen so many episodes of say yes to the dress! 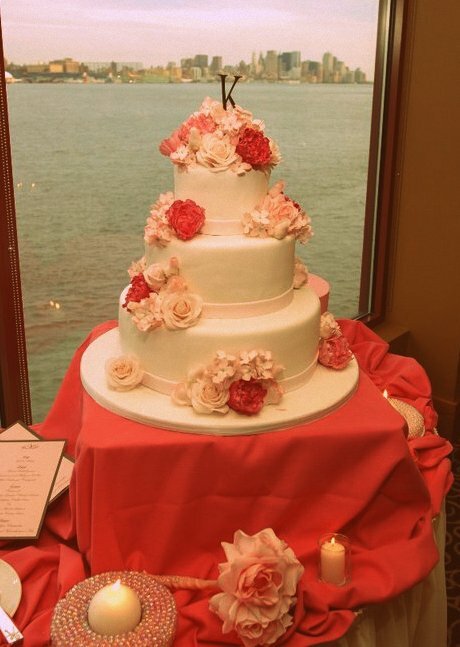 It's so gorgeous and I love Amsale dresses, and I cannot believe the Cake Boss baked your cake! 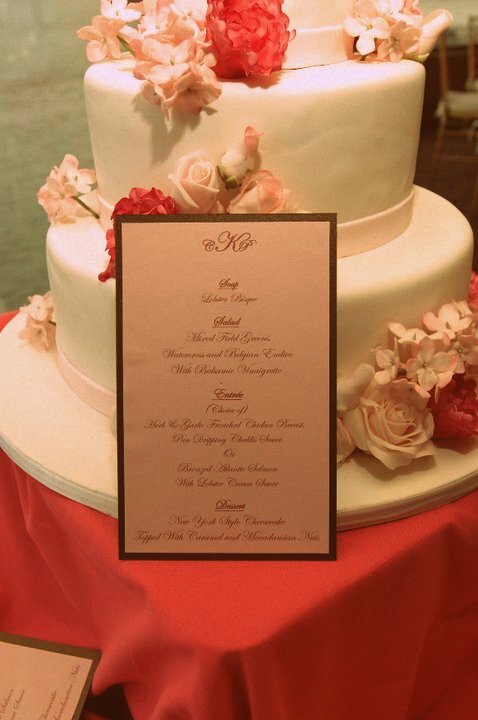 He is truly a talented man who can create any type of cake! I love that show as well. 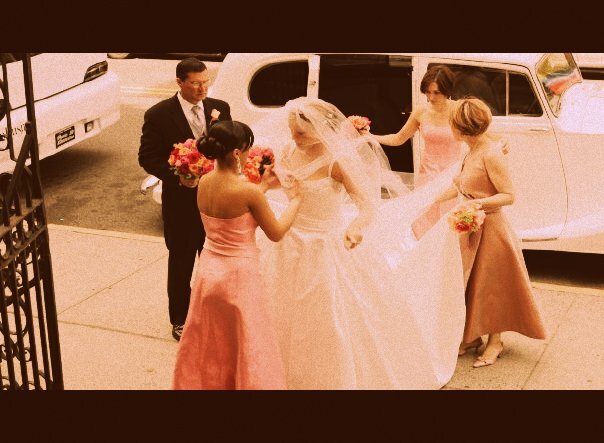 U were a stunning bride.U look made for each other.Congrats for completing seven years! Thank you all so much for your beautiful comments! This was truly a wonderful day! 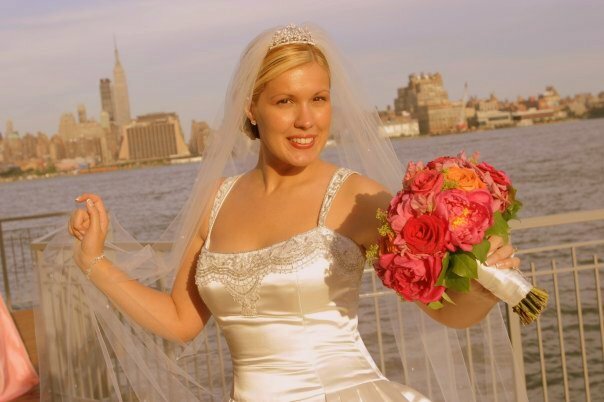 Oh and yes, i purchased the dress at Kleinfeld's NY. 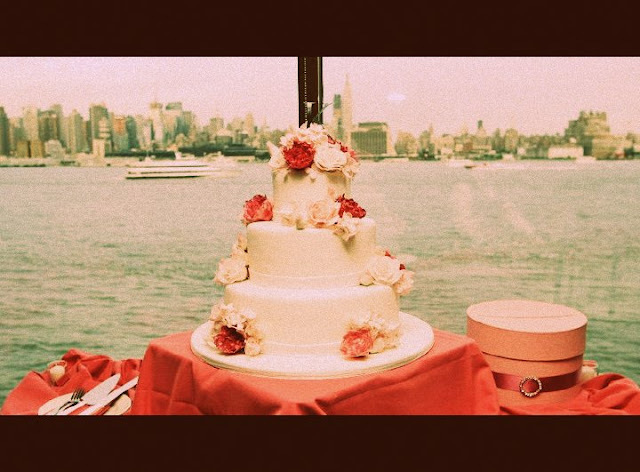 Funny that i bought my dress there and got my cake from the 'cake boss' all before their shows came out! Keesha from 'Say Yes to the Dress' is the sales person who helped me pick out my dress and she was incredible! Loved her! Hi dear, what a nice pics! Ur wedding was so so beatiful. I am a single yet, but after this post i want to get married tomorrow!!! hahahaha. I am following you now, ok? If u can follow me too, i will be happy! we are almost neighbors! I love chart house - they have the best seafood! To let you know reality, I didn't wed him 't contemplate life in Italy. However the Asians in the shadi is quite, exceptionally imperative, and put an incredible accentuation on family values.